Just like today, people in the 18th century kept a great deal of pets: cats, dogs, birds. 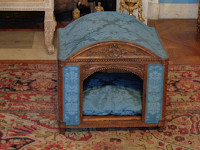 Because of their importance for the hunt, dogs especially figured large in every aristocrat’s life. Louis XV was so fond of his hunting dogs he got individual portraits done of each of them! 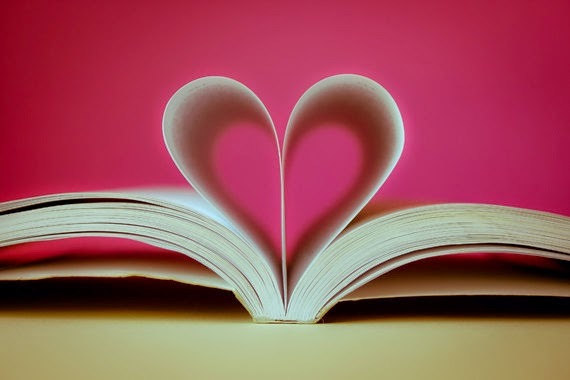 Then just as now, people kept pets for love and companionship, but also for status. As the century wore on and trade expanded, travelers and explorers bought back exotic birds and animals like monkeys from Asia and Africa. The palace of Versailles was also home to a Menagerie, stocked with exotic animals given as gifts from foreign rulers to the king of France. It was built when the palace of Versailles was built in the 17th century, but Louis XV, despite being a great animal lover, was not as interested in it as his predecessor. During the Revolution most of the animals died and the cages were used to house political prisoners. 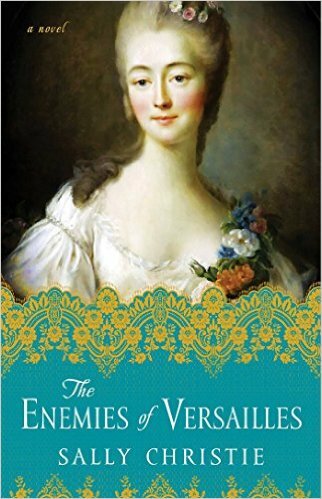 My books about the mistresses of Louis XV are full of animals and pets: the Comtesse du Barry adored birds; Madame de Pompadour had a pet monkey, and one of her friends was obsessed with rabbits. 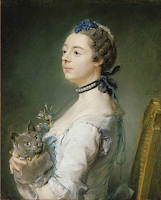 Another lady liked to carry around her miniature pug in a basket, and barking dogs are constantly causing friction in the close living quarters at Versailles. The King’s adored cat Snowball (the cat was real but the name is mine), that he used to bring to council meetings when he was younger, even makes an appearance. 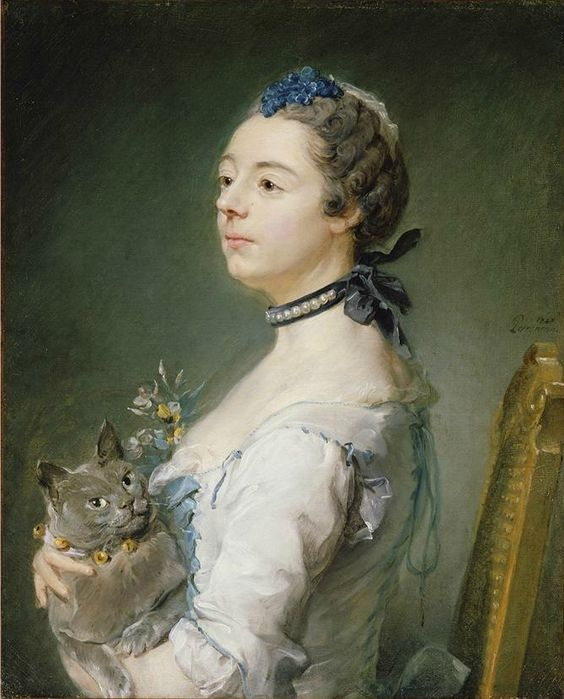 This rather snooty 18th century lady was apparently so fond of her cat that she sat with it for her portrait, and the luxurious, padded kennel (or cat house?) shows that their masters spoilt them as much as we spoil our pets! Thursday, March 30th: Dreams, Etc. Thanks for featuring Sally for the tour!